What's a good Drive Distance? I am wondering what is a good respectable Drive distance for average golfers here in Singapore. Please feel free to share your Drive Distance, as well as your opinions. My current average driving distance on the course is 230m - 255m. Max distance - 275m (1 on at Ponderosa 10 Hole). Been playing for slightly over a year. Driver - Nike VRS 2012 Driver. Currently self taught 3/4 Swing. Wonder if that is considered any good. I'm also curious if switching to a Tour driver will add extra distance to my drive. If you are a female and your ave driving distance 230-255m that will put a lot of male golfers to shame loh. d) Type, Brand & Length of Driver used - TM R11, Matrix HD Radix S flex, 45.5"
I used to think that my driver is well further than 220m. After using GPS, I realised that many recreational golfers, myself included, hardly can exceed 220m. Personally I like to be more accurate and find the fairway then to be long and in the rough. But having said that.. it does not mean distance is not important. If I can drive 200m carry and straight and on target.. I am happy liao... for SG courses. Your 230-255m drive I think is very respectable even it is off the fairway, in my opinion. 230m & above can't b considered as ave player right? Your driving distance has to be above average. Most weekend / social golfers drives around 200m, enough to enjoy the golf game. Most would trade accuracy for distance, and avoid any "trouble" off the tee shot. Enjoy the game of golf. I drive average 200-220m. Best drive is 240m which is a good drive with tail wind. Basically, most of the time the hazard are not in play when I play off blue at NSRCC changi. I find teeing off longer when playing blue at certain courses are certainly not advantageous. Some golfers are still using old Driver models and still drive further than the newest and latest equipment. To know the average distance of each golfer, it would be appropriate to ensure that all the test golfers uses the same Brand and Model driver. This way it would be a more accurate comparison. There really isn't a real comparison. Even the Pros distance varies due to the different drivers they use. You are driving far dude. 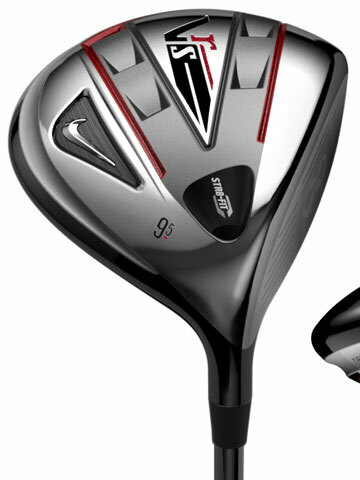 Use Stiff Flex for Nike VRS 2012 Driver. 9.5 Loft. I'm wondering if switching to a tour driver will add even extra distance. Perhaps the Titleist 913D3. Handicap: not updating currently hovers ard 10-15 now trying to change my swing. Haven't take much data with driver but can comment with 5w stats of needed. Will changing to a tour driver increase driving distance by lets say... 10m-20m? Do u really need to just increase by 10 to 20m? Why not find out why u can only drive 240m. Seek professional help if you want to increase distance or to your full potential rather than relying of equipment. Most of the people with fancy stuffs don't play well. For taylormade R1 series the tour head is a 440cc head that is even lower spinning than the retail. Allows you to loft up more like what the SLDR does. Whether I gain distance I do not know as I have never compared them up on Trackman. Usually Taylormade gives their tour staff different products. Only can confirm this up to the R1. For the other brands I think they are the same thing. Just that the exact specs for the club head is provided. And they usually have hot melt in them for weighting purposes. It also changes the sound of the driver. Not keen on coaching lessons. Expensive and not worth the hard earned money. Driving range practice sees better results. The best advice I got for driving is from my Dad. SLOW the upswing. Much like some of the professional Korean Golfers. Just looking for an easy method to gain distance. Not looking to immediately change driver.. Just planning ahead in months or years to come when time to change. Chris, seeing as you use the Titleist 913D2 driver, can you share with me why you chose the club as well as a short review of it. Thanks! Reason is simple, the driver gives me more fairway hit and I and shape it easily. It's also a lucky driver for me, sometimes hit buggy track get extra distance. Sounds good. Happy you've found a driver that works well for you. I will also proudly say that my Nike 2012 VRS driver is my favourite club in my bag. Another question, how about a different loft? Let's say from 9.5 to 8.5? That will definitely lower the trajectory and lengthen the roll and therefore total distance. Lower the loft will not increase the total distance but instead gives u more roll when the ball hits the ground. What is your ideal driving distance on a regular day. Technology does give u an edge in gaining extra distant but the basic is then the real deal in giving u the distance. Subject: Re: What's a good Drive Distance?